Someone has rightly said that a father is daughter’s first love. The tenderness and affection that he shares is indeed incomparable. And here comes an important occasion to make him feel special; Father’s day! All set for this special 3rd Sunday of June? 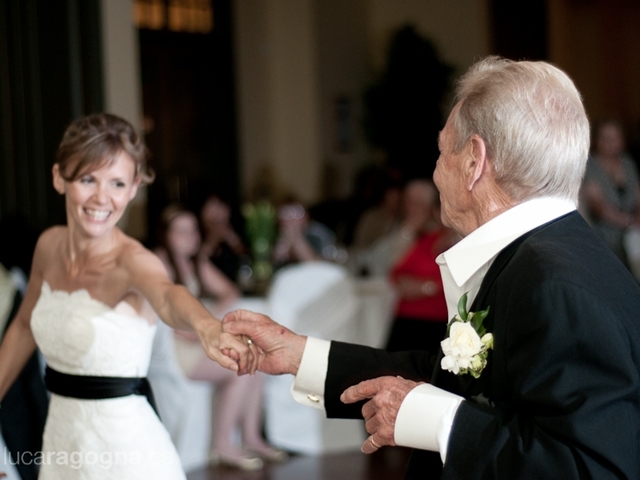 If no, then we are going to help you connect your loving dad with all the hidden feelings deep inside you via these best father daughter dance songs. Get ready to watch your dad as happy as he was when he got a princess like you. Eric Clapton had received Grammy award for best male pop vocals for this classic song “my father’s eyes”. In 1998, the album pilgrim had not only released this mind blowing song but also released the absolute pleasure and memories between father and his daughter since her birth. This song expresses exactly how a father sacrifices his sleep to let his princess fall asleep. This song will make you realize strength in his lullaby which had taught you the way to dream. Billy Joel has wonderfully expressed a father daughter relationship in this song released in 1993. Do you miss those days when he used take for a long ride on his motorbike every evening? If yes, then playing thus song on this very special day will be great which his happy tears are going to express it all. Beyonce Knowles is an amazing artist who incorporated the true emotions in this song of album named “dangerously in love” in 2003. It is one of the best Father Daughter songs. This best R&B song has been nominated for Grammy awards. Luther Vandross being the soul artist of this song grabbed for this fabulous creation which was released in the year 2003. This song has become a part of the list of favorite songs since its release as it beautifully voiced the silent childhood fun of dancing with fathers sitting on their shoulders. You may add up this song to be played and danced with your beloved father to make him recall those day when he supported you and took care of you more than anything. Be thankful to your dad for giving you incredible memories and to James Taylor for putting up feeling into words. Stevie Wonder, the superb personality whose voice made this song stand in the list of best father and daughter songs, sang this song for album “songs in the key of life” in 1976. This song is more than perfect for any occasion, may it be a daughter’s wedding or father’s birthday or father’s day as it redefines depth of love and reason of life. Through all those years you two were together; collecting a bunch of beautiful memories and throwing all the negativity and hurdles apart. Kenny Rogers gave voice to the exclusive thoughts of Steve Dorff and Marty Panzer. A happy but emotional environment can be extensively created with this song. Your dad might not have told you about his fear of losing his daughter after she gets married. He doesn’t share his expectations from your upcoming life; but this sing conveys it all. This lovely song was written by Tim McGraw and Tom Douglas which became the top third song in billboard hot country song chart. The magic of home can be brought back to remembrance via meaningful words and authentic music of this song. Being nominated for single record of the year by academy of country music awards, this song was sung by heartland in the year 2006. This song is all about how your dad was your hero and number one for you making your dad to remember even your first ever smile. Yes! She is daddy’s little girl. Bob Carlisle sang this song which thanks Jesus for the cute she. This song will bring back all the transformations of your life right from evolving as a baby upto giving birth to a baby. In 1997, Bob Carlisle made this song a most authentic and beautiful part of album butterfly kisses (shades of grace). Many a times in life, everyone comes across those unexplainably precious moments when they experience a most happy smile and tears simultaneously. Happy moment it is! And you are going to be a awesome part of one such moment very soon! Do share your views about our articles and queries, if any. Happy dancing!